The above agreements are signed based on previous Memorandum of Understanding signed on August 2nd, 2013 and Roadmap Scheme Implementation of MoU signed on December 6th, 2013 where PT Dirgantara (PTDI) and Bell Helicopter agreed to perform joint sales marketing, Bell agreed to help PTDI as a Bell tier-1 supplier, as the Delivery Center, as Bell service Center and as Customization Center as well for Bell 412 EP helicopter series delivered to Indonesian governement entities. About this cooperation, the president director of PTDI, Budi Santoso, said "PTDI partnership with Bell Helicopter, as one of the leading helicopter manufacturer in the world is a strategic and anticipative action to answer the customer needs in potential domestic market. 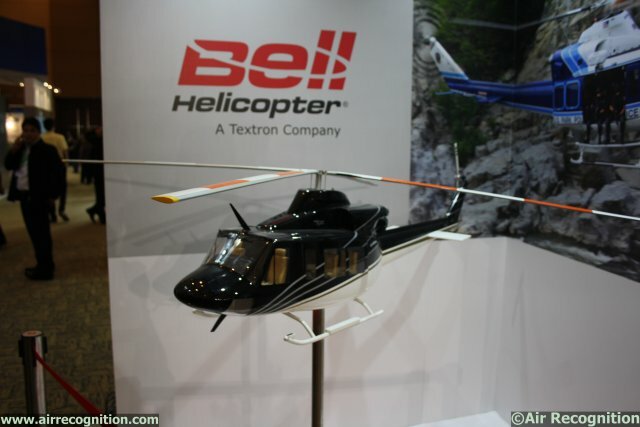 We realize that Indonesia has a sizeable demand for Bell's helicopters". PTDI and Bell Helicopter have conducted longlive cooperation since 1982. Hence, PTDI has supplied more than 60 units of Bell 412 helicopters to the Indonesian Government institutions and private companies. PT Dirgantara Indonesia is an Indonesian state-owned entreprise established in 1976. PTDI production site is in Bandung. The company main products are aircrafts; aircraft structure component; aircraft services; and engineering. PTDI has delivered over 400 aircraft to 49 civil and military operators.